When you work 9 to 5 Monday thru Friday it's hard to find time to cook. Most New Yorkers would prefer to just grab lunch on the run and then eat Seamless at night. There are a million McDonald's and Bodegas in the city, but very few reasonable healthy options. When you are racing against the clock to get ready for Summer. You need nutritious food at your disposal. That snickers in the vending machine is starting to look REAL good right now. I've compiled a list of my favorite places in NYC to eat for lunch that are healthy, delicious and filling. Your stomach will thank me later. Glaze is kinda like my first love here in the city. Honestly, I could eat their teriyaki chicken, brown rice, and salad (with sesame dressing) every day but my wallet says otherwise. Their fresh and local ingredients are simple but pack so much flavor. 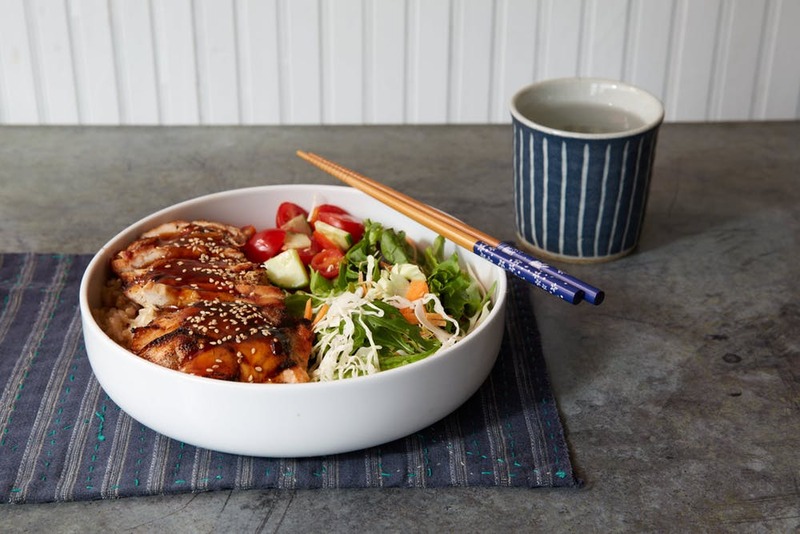 Founded in Seattle, the Korean & Japanese-style teriyaki spot has 4 locations in New York City. Over the last year or so, Sweetgreen has developed sort of a cult-like following in the city. They've managed to curate a delicious selection of salads that all taste good. SG offers seasonal items from strawberries to sweet potatoes infused in their recipes. They've also made it SUPER EASY to order online, pay. and pick up your food within 15 minutes. No lines required. The hardest thing is finding healthy options that actually taste good. Hu Kitchen was a pleasant surprise when I visited their 3rd Avenue location. They offer a wide range of vegetarian and pescatarian options. I ordered the organic chicken with turmeric broccoli (delicious) and mixed vegetable stir-fry. A little expensive but it's nice to have the option on the days you don't bring lunch or right after the gym. I discovered this place after a sweaty night session at Tonehouse (NoMad). Field's Good Chicken is a little bit of heaven here in the concrete jungle. Serving up dishes from bowls to salads. My favorite item on the menu is the Bueno Bowl. It's almost like Chipotle but Chipotle in Heaven. The chicken, black beans, brown rice, tomatoes and guacamole just melt in your mouth. It really hard to describe the experience you'll have to try it for yourself.